Ross also had advice for what Israelis should talk about when they talk to Americans. Israelis, he said, should avoid talking about shared values and visions of the world. Instead, they should focus their discussions with Americans on both sides of the aisle on security issues and regional Middle East topics. Ross’s warning that Israelis should avoid speaking to Americans about shared values points to the core of Israel’s problem with Democrats — and, increasingly, with the American Jewish community which splits two-to-one in support for Democrats over Republicans. For the better part of the history of U.S.-Israel relations, the main source of U.S. support for Israel was not shared security interests — although those shared interests are legion, and have ensured that ties between the countries have always been intense and largely cooperative. The basic affinity between Americans and Israelis that informed their joint interests has always been our shared values. More precisely, Zionism — that is, Jewish nationalism — and American nationalism share basic features that draw them together. Both Israel and the U.S. are states based on ideals and ideas rooted in the Bible. Jewish identity and attachment to the land of Israel, like Jewish survival through two thousand years of exile and homelessness, owe entirely to the faithfulness of Jewish people scattered throughout the world to the laws of Moses and to their national identity as the descendants of Abraham, Isaac and Jacob. This enduring attachment to Jewish law and heritage, and to national identity, is what brought millions of Jews to settle in the land of Israel both before and after the State of Israel was founded 70 years ago. The Jews who have come to Israel from the four corners of the globe were not entering a foreign land as economic migrants. They were exiles returning home. Israel is not a nation of immigrants so much as a state populated by ingathered Jewish exiles. Likewise, as Michael Anton wrote this week, contrary to the pro-open borders position, the U.S. is not a nation of immigrants. It is a nation built by settlers. Anton defines a settler as someone who “builds ex nihilo and must form the initial social compact,” of a society. Anton’s definition isn’t precise, at least in the case of the early settlers in the British colonies. The social compact they forged, which was later revised in the form of the U.S. Constitution, was not built from nothing. It was founded on the Bible. The Biblical laws and narratives formed the basis of enlightenment concepts like limited government, individual liberty, and freedom of religion, which in turn formed the basis of the American social compact. In the case of the United States, the compact that centuries of immigrants joined was anchored in the Constitution and the philosophical and religious positions that inform it. The civic religion that emerged in the U.S. was inclusive to those who accepted its basic values and principles. Given that the social compacts of both Israel and the U.S. were forged by settlers informed by the Bible, it is little wonder that the two nations have always had a natural affinity for one another. Which brings us back to Ross’s warning. The problem that Israel now faces with the Democrats is that whereas Israelis have by and large remained faithful to their identity — and consequently, their nationalism, or Zionism — Democrats are increasingly becoming post-nationalist. The distinction between nationalist and post-nationalist is not a mere policy preference. It is a far more fundamental shift in values. Consider the situation along Israel’s border with Syria. For the past two weeks, as the Russian-Syrian-Iranian advance against rebel-held southwestern Syria has proceeded, some 270,000 Syrians have fled their homes in Deraa and Quneitra provinces. While the bulk of the displaced have fled to the Syrian-Jordanian border, several thousand have situated themselves along Syria’s border with Israel. That is, Israelis are committed to being good neighbors to the Syrians. Despite the formal state of war between the two countries, and the fact that almost all of the warring factions share a basic commitment to Israel’s annihilation, Israelis are happy to provide medical assistance to the wounded, and humanitarian assistance to the refugees on the border. But they are not prepared to grant asylum to anyone. This position is shared by all political parties across the right-left divide, except for the post-Zionist (or post-nationalist) party Meretz. Meretz, which represents some 4 percent of the electorate, opposes the very notion of Jewish nationalism, or Zionism. It believes that Israel should open its doors – as a Jewish state – to refugees and others, including illegal economic migrants from Africa. Meretz’s leader, Tamar Zandberg, knows that her party has no significant support domestically. And so she has focused a great deal of effort on building strong ties to Democrats and to progressive, anti-nationalist American Jewish groups to increase her party’s power and leverage in Israel. Zandberg recognizes that her position, while marginal in Israel, is the dominant position in the American left generally and in the Democratic Party specifically. It is also an increasingly popular position in the American Jewish community. Ambassador Ross was in Israel this week to attend the presentation of the Jewish People Policy Institute’s 2018 annual report. He serves as co-chairman of the institute’s board of directors. The report emphasized the importance of preserving the triangular relationship between Israel, American Jewry, and Washington. The problem is that over the past twenty years or so, the American left has undergone a profound shift in values, from liberal nationalism to radical post-nationalism. This process, facilitated and accelerated during Barack Obama’s presidency, and expressed most emblematically in Democratic support for open borders, has made post-nationalism the sine qua non of the Democrats since Trump’s electoral triumph in 2016. Israel’s relations with the American left, then, are a collateral victim of a wider shift in American society. Jewish nationalism, with its inherent affinity to American nationalism, was once the basis of Israel’s relationship with the American people as a whole. But now nationalism is the main cause of the Democrats’ increasingly fraught and antagonistic relationship with the Jewish state, while remaining the foundation of ever increasing levels of Republican affinity and support for Israel. Perhaps Israel will be able to heed Ross’s advice, at least in terms of the Democrats. Perhaps it will be able to develop a common language with the U.S. based on shared interests. 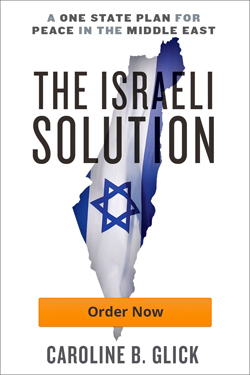 There are certainly a number of steps Israel can take to advance that goal. But the fact is that the Democrats’ shift in values from nationalist to post-nationalist, rather than any action Israel has taken in its domestic or foreign policy, is what has caused the rupture in Israel’s ties to the American left. So long as Meretz remains a marginal force in Israeli society on the one hand, and post-nationalist forces continue to rise in the Democratic party on the other, bipartisan support for Israel, like bipartisan support for American nationalism, will remain a thing of the past.